Looking out on fields and fields of corn halfway to harvest. With butter as gold as the sun under which they now grow. Some will fall away to feed mice or a midnight raccoon. Of childhood and family around a feast of corn. Written on the spot at the request for a love poem to “corn” for the What Improv Group?!?! “Valentine Affair” show intermission project. 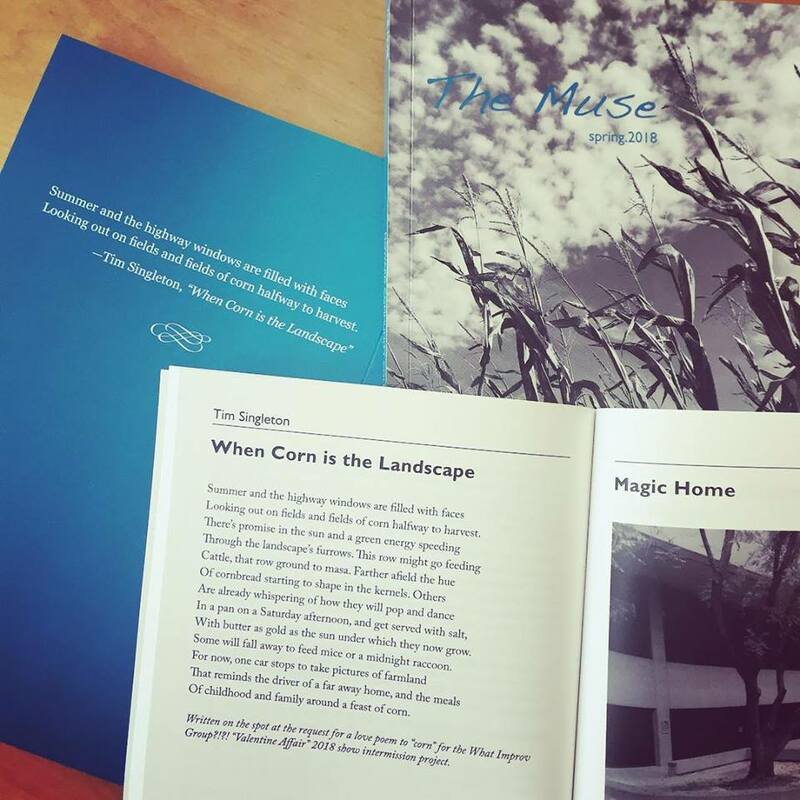 “When Corn is the Landscape” was published by Howard Community College’s annual literary and arts magazine, The Muse, in the spring of 2018. This entry was posted in Poetry and tagged Corn, Corn Poem, The Muse. Bookmark the permalink.